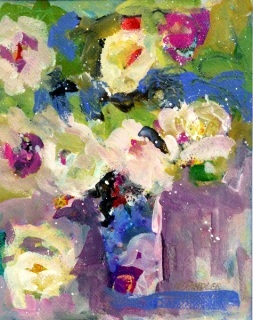 This impressionist acrylic floral is painted on watercolor paper and matted with a white 14x11 mat, ready for framing. With pale yellow and white blooms with purple vase and blue and green accents. Prints are available at Imagekind.